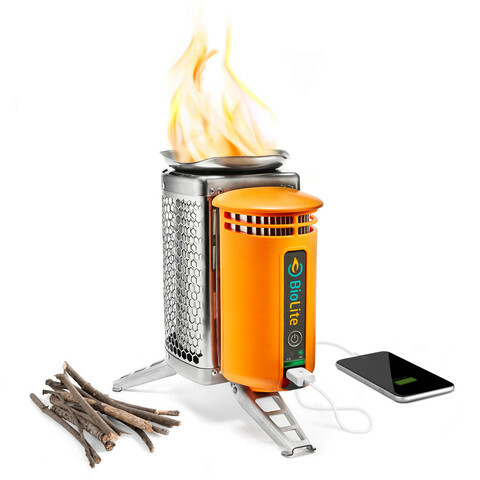 A number of portable wood and biomass stoves we have seen in past which generate heat to cook food for domestic as well as camp applications. 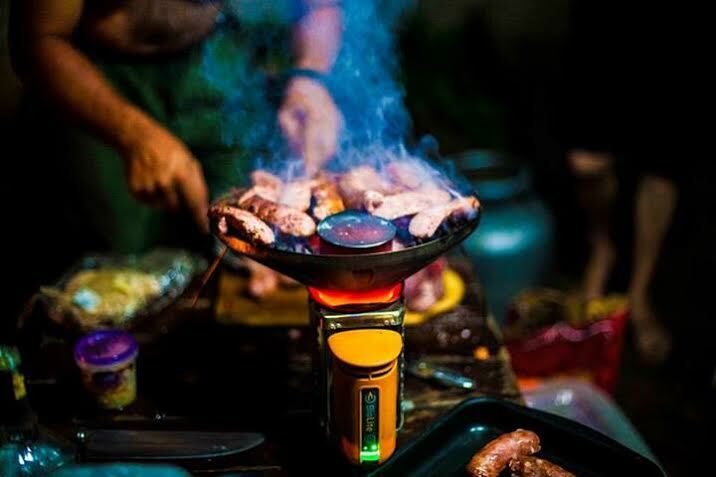 A cross between a backpacking stove and an off-grid power charger, the BioLite Wood Burning CampStove enables you cook food and charge gadgets with nothing more than the wood sticks you collect around camp. 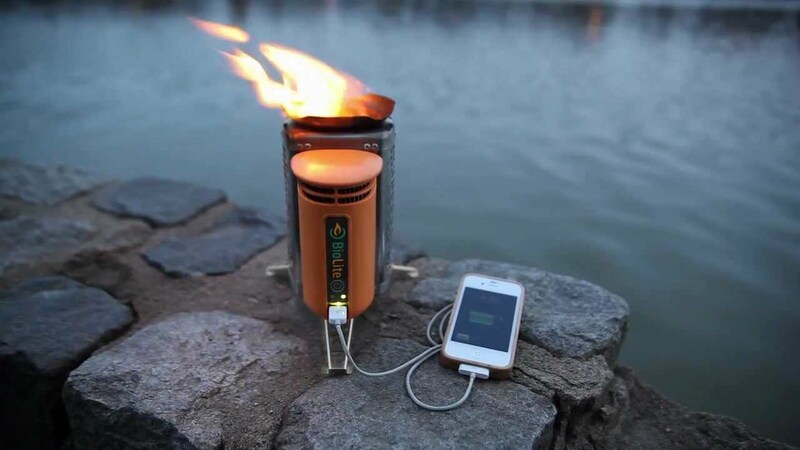 BioLite is well known for their flagship wood or bio-mass burning stoves that utilize thermoelectric technology to produce usable electricity from the heat of their fires. 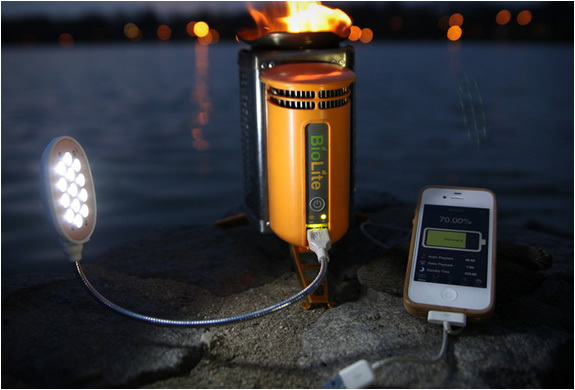 Jonathan Cadar and Alexander Drummond have developed the BioLite CampStove that generates electricity for charging LED lights, mobile phones, and other personal gadgets. 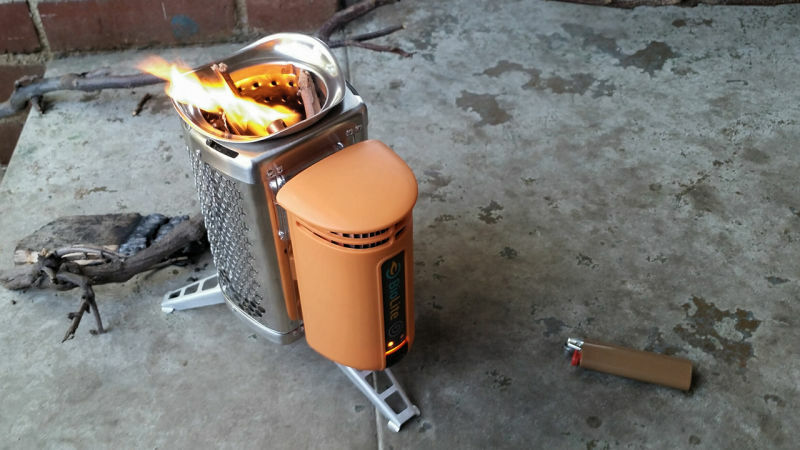 Unique feature of this CampStove, it creates a smokeless campfire that can cook meals and boil water in minutes using renewable biomass like twigs, pinecone, wood pellets. It cooks your meals with nothing but the twigs you collect on your journey, eliminating the need for heavy, expensive, polluting petroleum gas. It weighs around 2.06 lbs, sized 8.25” height and 5” width. It has 2W USB port for charging the gadgets within 20 minutes enables to get 60 minutes of talk time. The internal fan and Gas Jets HI/LO controls the air circulation into the fire for improved combustion and higher efficiency. A 12” long portable grill has foldable legs that, when stood up, allow the grill to be set on top of the CampStove for your burger-cooking needs. It is easy to light, fast to boil and clean to use. By using renewable resources for fuel instead of petroleum, we are reducing the carbon footprint in environment. 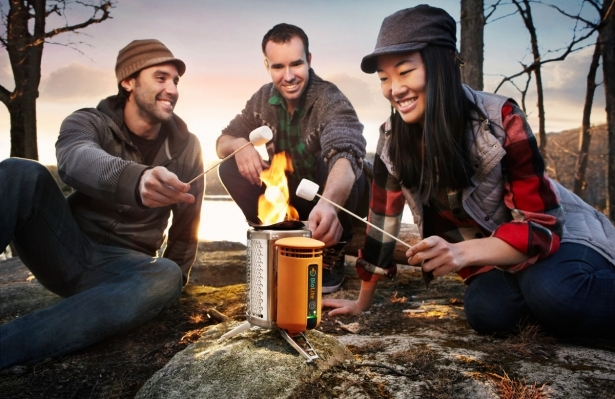 The BioLite CampStove is indeed one of the most efficient wood burning stoves you'll ever own!